Matt has been a Chef at the Royal Alfred since 2014. He started working in a kitchen around ten years ago washing dishes and preparing vegetables. 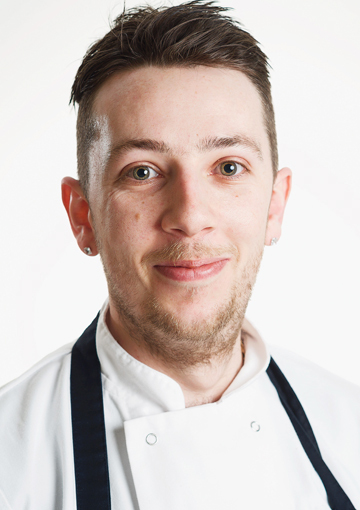 Matt enjoyed working with food and since that time has taken many courses at college, gaining his NVQ Level 3 qualification. He is now working on enhancing his cake decorating skills, which he really enjoys (as do the staff and residents!). The team produces more than 70,000 meals every year for the residents at Belvedere House, as well as catering for parties, celebrations and wakes, so it is a very busy department. Matt’s grandmother worked at the Royal Alfred in the old Holly Lane home for many years. Unfortunately she has since passed away, but we’re sure she would be very proud to know that Matt has followed in her footsteps by working at the home.